Let me apologize for doing a “top 10” post about why 2009 was personally quite amazing. Each experience listed below should have been represented as a short post on my blog at the time it was happening. As it stands, life got in the way and I got behind. I’m also writing this post to satisfy a recent suggestion by Nick Holland to document everything I’ve done — no matter how large or small — into a CV file for the sake of reference. I felt like I could do more (or at least go beyond a regular list of factoids) by ranking 10 most valuable experiences I’ve had in 2009. Over the past year I helped fund three different articles (1, 2, and 3) that actually got produced and published. You have no idea how satisfying that is to a journalist like myself who started his reporting career at the very end of print media’s era. 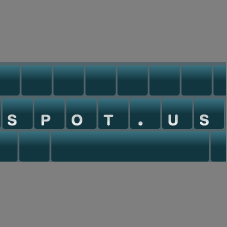 Although Spot.us is focused on two localities at the moment (SF Bay Area and Los Angeles), the potential for an organization like this to be duplicated across the country is exciting. No longer would I have to be disgusted by the local headlines that regurgitate national news and wonder why they don’t cover more “insert-under-reported-subject-here”. Instead, I could either pitch the idea or fund someone else to make it happen. Incredible. 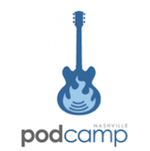 Let me say that I dove into planning PodCamp Nashville, the “un” conference about interactive technology, with zero knowledge of podcasting. Of course, that isn’t a prerequisite for participating in PodCamp, but I did want to learn the fundamentals of producing a basic web cast. Initially that was my motivation for getting involved, but I soon discovered that the event was more akin to the penny dishes found on the side of retail store cash registers. If you need a penny, take one. If your change produces pennies, leave a few for the other customers. Replace “pennies” with “knowledge” that’s essentially the jest of PodCamp. I knew about social media and journalism so I pulled together a speaker session outlining the value of staying connected to local communication channels while news gathering. In return, others shared their knowledge of producing web shows and podcasts. Overall it was a great experience that I’d describe as two-parts instructional, one-part philosophy. Oh, and it’s free. Considering how often Editor of CineGeek Stephen Lackey has invited me on his web publication’s weekly geek news podcast, it seems like I should have specifically mentioned the CultureSmash show before now. I’ve joined Stephen, along with Con-Trek Co-Host Alan Smith, Niko Qualls and Clovis Chitwood nearly a dozen times as a guest host since they first asked me onto the show this past summer. Every time I’m there I thoroughly enjoy myself and wonder why their listeners tolerate me. In all seriousness, it’s easy to forget there are other geeks of this caliber when living in the south. It’s not that they don’t exist, but compared to a giant metropolitan city like NYC you run into them less often. So it’s great seeing the CineGeek staffer covering a lot of the same conventions and fan-events that I’m at and then be able to discuss them at length via the podcast. I get most of my news by reading online news blogs, but for almost half the decade I’ve relied on a link aggregation site to point me somewhere in the direction I’d like to go. Gradually my attention shifted this year from the social link sharing site digg to the much smaller Condé Nast owned competitor Reddit. There are several reasons for this but one of the largest is due to Reddit’s ability to create custom categories that act as their own individual link sharing aggregators (‘sub’ reddits). 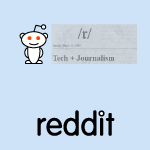 I immediately created a subreddit called Journolution to discuss the science and ethics of news. Technological advancement has wrecked havoc on the traditional code of ethics used to deliver the news and as a result there are thousands of Journalists discussing the science of news and then writing about it… reporting about it… all for the purpose of improving the quality of news gathering. The core problem with writing and discussing the science of news is that there is no unity among its many “news scientists” and as a result, meaningful data cannot be extrapolated to reach greater, more complete conclusions. It’s as if every scientist was trying to nail down a conclusive theory for gravity even though such a theory exists and such theory is sound. The Journolution subreddit could essential solve the problem described in the paragraph above by getting everyone to look in the same place as they tested their theories. It’s an effortless process of reading a thoughtful article about the state of news (or the News Industry, media trends, etc. ), clicking a button to submit that article’s URL, writing a meaningful headline and allowing the public to vote it up or down (and comment). As of this post, there are 27 subscribers (Woot!) to the Journolution subreddit. Many of them are pretty active so there’s enough to read week to week. 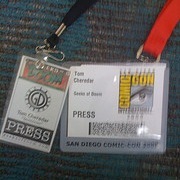 I covered five different conventions in 2009, including both New York and San Diego Comic-Cons and Dragon*Con. Maybe this is sort of given since the bulk of my freelance work has to do with the geek genre, but I have never been happier than the time I spent in giant crowded convention centers covering panels as a journalist. I would have more to say about it if I hadn’t already written extensively about each and every voyage. I will say working these events were the highlight of my entire year. You are currently browsing the archives for the Web Culture category.